Covenant Polytechnic permanent’s site is located at Umuogbo village, Owerrinta, in Isialangwa south local Government of Abia state. The permanent site bordering between Ngor Okpala, Imo State and owerrinta, Abia state and has within its catchment area the following states, Rivers, Imo, Enugu and Akwa-Ibom State. Welcome to Covenant Polytechnic, an institution designed for Research, Train, and Develop manpower for acquisition of skill. We welcome you into the field of future leaders, who will stand the test of time to re-engineer our nation politically, Socially and Economically. This institution is known for its quality and standard of education, it is not for “never do well”. We therefore encourage you to start early and be committed to your studies. Students who perform poorly are warned, and if that continuous such student is withdrawn from the Institution. The Polytechnic has several facilities and equipments for your studies, avail yourself of the opportunity by carefully using them. 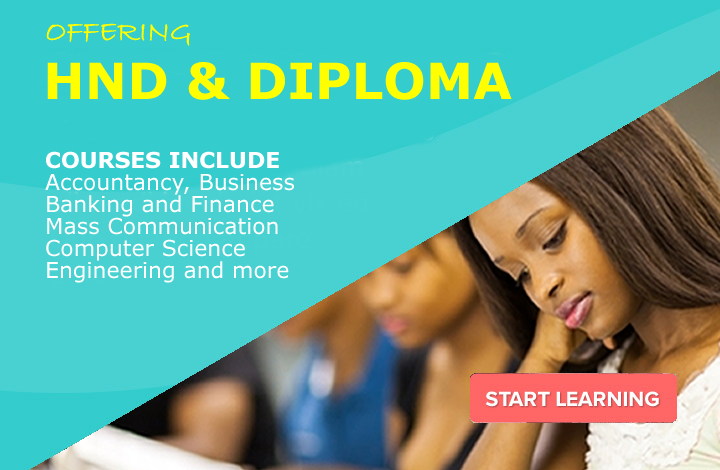 The Polytechnic offers Two (2) types of programme, the Regular and Part-Time programmes. Students are expected to identify with the particular programme they want to run as they complete the application. While Regular have their face to face lecture at designated place or Campus, the Online/Part-Time students receive their lectures Online. Candidates for Full Time or Part- Time must posses Five (5) credit passes including English and Mathematics for National Diploma Programme. For Full-Time students completed forms must be forwarded to the Registrar – Covenant Polytechnic, 168 Aba/Owerri Road, Globe House, Abayi Aba, Abia State and can as well be completed and submitted On-line through Internet. Aptitude test is conducted for those candidates that did not write JAMB, at the Main Campus for the Full Time Candidates. The same category of students who applied on Part – Time will write their aptitude objective test on the internet on a stipulated date. Both admission and course forms will be completed Online. The system will not accept your submission except complete payment for the stipulated amount is made at the designated Bank and the Code entered. After payment the above documentations should be scanned into the system to enable the office build your file. Please note that it will be difficult to process your file without the above information. The capacity of both libraries is Two hundred and fifty seats (250) – campus one has one hundred seats (100) while Campus II has one hundred and fifty seats (150). Students of Part – Time and Online Programme are expected to submit accurate contact to enable them receive course material from the Main Campus especially Part – Time student. Online students are expected to access their lecture within five (5) working days of hosting as such lecture topics will be replaced with new topics on the Internet weekly. Registration last for two (2) weeks from the date of commencement for both Full – Time and Part – Time / Online Programmes.